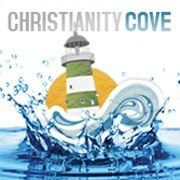 Christianity Cove is a fantastic resource for Sunday school teachers, youth pastors, homeschool moms and teachers. They have hundreds of free lessons and resources online in addition to their great ebooks and activities for sale. As a member of the Switched on School house review Crew we were able to review two of the wonderful products from Christianity Cove in our home. You can see all of their products for purchase HERE. These have become some of my favorite resources for my early elementary aged children. (Most activities can be used for ages 4-14.. though I do feel many of them are too young for the 14. I had an 11 year old do them and he was interested still). and more, we were able to have a short devotional to get the kids excited about growing their faith in Christ! Each lesson only takes 10-15 minutes. These are perfect conversation starters for a youth group, sunday school class, or even a homeschool day. My kids learn so much better when having an object to think and reflect on. We started with being a Light for Christ. I utilized these lessons with my 3 youngest, ages 5, 8, 11 each morning and they really looked forward to them. You can easily use it for just one child if that is what you have, but I do find it more fun in at least a small group for some interaction. 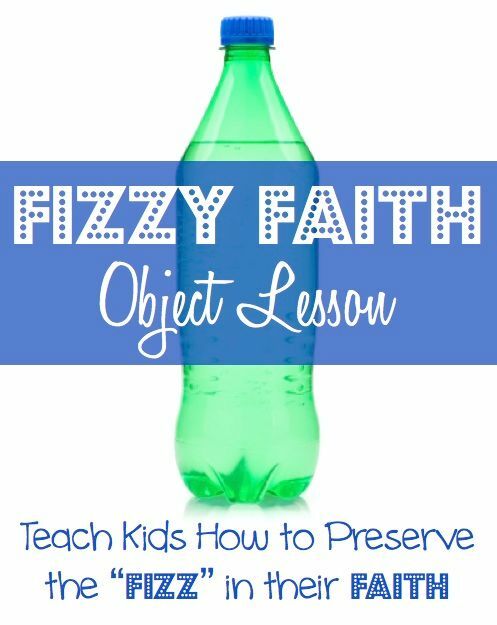 We also photographed working on Keeping the Fizz object lesson with soda pop and waters. Fruits of the Spirit Activity Kit is a digital download for $19. I was really excited about using this with my 5, 8, and 11 year old. I have wanted to share the Fruits of the Spirit with them more and help them to memorize and understand them. This activity kit incorporates object lessons, crafts, worksheets, games and more; all focused on learning the Fruits of the Spirit. We first utilized the object lesson with grapes and raisins. I loved how we used fruit to show how we are when we are connected to the vine with Christ, and what happens when we are not.. we wilt. It went much more indepth than just focusing on the vine, by incorporating unbelievers, angels and the world into the lesson. It gave great insight into how we are to share our Fruits of the Spirit with others. We made a craft with runts and the kids really loved that! The craft utilized baby food jars which we didn't have so we were able to just take the concept of the craft and shift it a little. We used a balloon for the head instead of play doh also. We also played a few of the games and sang the Fruits of the Spirit song to the tune of the Farmer in the Dell. The 11 year old officially has them all memorized, while the 8 year old is right behind him. We discussed what each of the fruits meant and how we can show them to our family and people outside of the home as well. I really enjoyed this activity kit and would love to see more of them. It worked wonderfully for the age group we tried, and I think even up to age 12 or 13 would enjoy it as well. Definitely an idea for family devotions, or an evening when you are 'unplugged'. See some reviews on the other great products from Christianity Cove by clicking on the banner below. Great review and good pics! I think this product was not quite what I expected. I thought it would be heavier on content with some activities. I didn't realize it would revolve completely around activities and crafts. Since I only had one child using it with me, the activities were not quite as enjoyable. And I might just be cranky, but I get so tired when everything geared for children has to do with food! Can we learn something without eating?? But that's just something that frustrates me as a momma of kids with food allergies. I can see how this product would be so much more fun in a group setting like a Sunday school class or co-op class. My kids like the fruit of the spirit song. It's on youtube - "The fruit of the Spirit's not a coconut......" :) They all can sing that song and memorized the fruits of the spirit with the help of that song. Lexi I will have to look at the song, my kids would love it too! This sounds like such a great way to teach kids. Thank you for the great review and post.